nope. conflict error – git does not like you. git does not want to merge. magicalFile.lol does not feel like doing what it’s supposed to do. 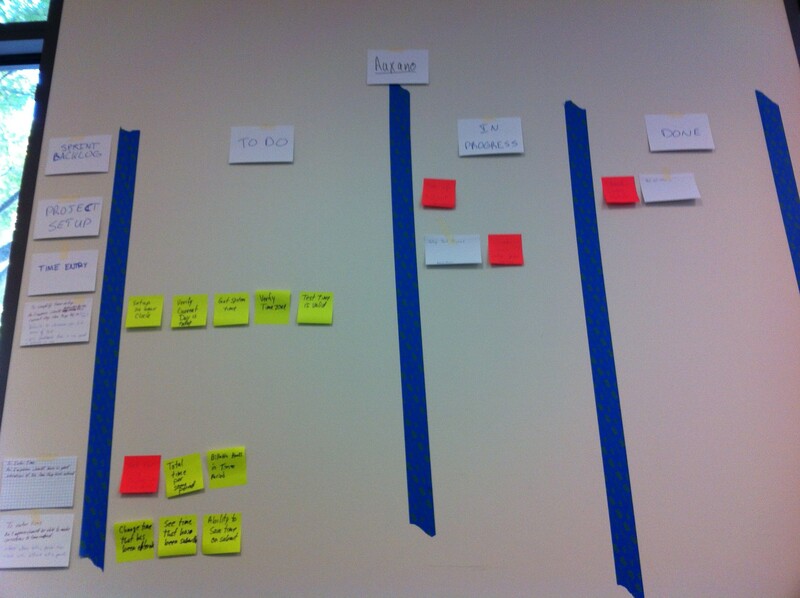 Scrum: Finished the Agile Scrum Immersion course yesterday. Today we’ll be planning and modeling the Employee Involvement Program app “Project Auxano”. No Blocks (speaking from yesterday…). Tomorrow is a new day (thank goodness). Jonathan helped me out and finally got my git working after deleting and re-cloning our project solution a few times. I was a little frustrated with my productivity today, but I don’t think I was alone on that. We kicked off the day by coming up with a name for the project (Project Auxano), and mapping out our features, stories, and tasks. Once those were up on a scrum board we did three one-hour mini-sprints with “daily” scrums and a retrospective at the end of the mini-sprint. We went through a few retrospective exercises in order to review what worked and what didn’t, which left us with some improvements to implement tomorrow. I think I’m finally set up to work with Git, so I should be much more productive in the morning. much scrum. very agile. such git wall.